I absolutely love Asos, I don’t know many who don’t! So I thought I’d choose my favourite items from their holiday edit. I think this dress is beautiful. I love the crochet that sits on top of it. It’s perfect for the summer or if you’re going abroad on holiday. It can be dressed down with flip flop sandals or dressed up in the evening with dressier sandals. This is the perfect holiday playsuit. The bright colours against the dark blue look fantastic and I love the cute little pom-poms stitched to the bottom hem. This could be worn as a bikini cover-up or on it’s own during the day or evening. This mid-length dress will look beautiful against a tan and with a wide-brim floppy hat in the South of France. I love the ditsy laser cut print and the halter neck which gives it a backless look. It’s also lightweight so you won’t be sweating buckets in the sun! This polka dot jumpsuit will make up stand out in any crowd. Although it’s long in the leg, the fabric is lightweight ensuring you don’t get too hot wearing it in the sun. I love the cut outs at the waist and the ‘awkward’ length of the trouser which allows you to show off your holiday sandals! You can’t go on holiday without a pool or beach cover up. A lot people will take kaftans of every different colour, but I love this crop top and shorts combo which is made from a lightweight jersey material. As well as a cover up, it could look great if you’re going sightseeing around the city. Another alternative to the kaftan is the kimono. This one from Ted Baker has a beautiful print which stands out from the prints on normal kaftans. As it’s a kimono it can of course be worn over swimwear, but I think it would look beautiful over a strappy white top and denim shorts. The oval sunglasses are everywhere at the moment with lots of different varieties from the likes of Rayban. 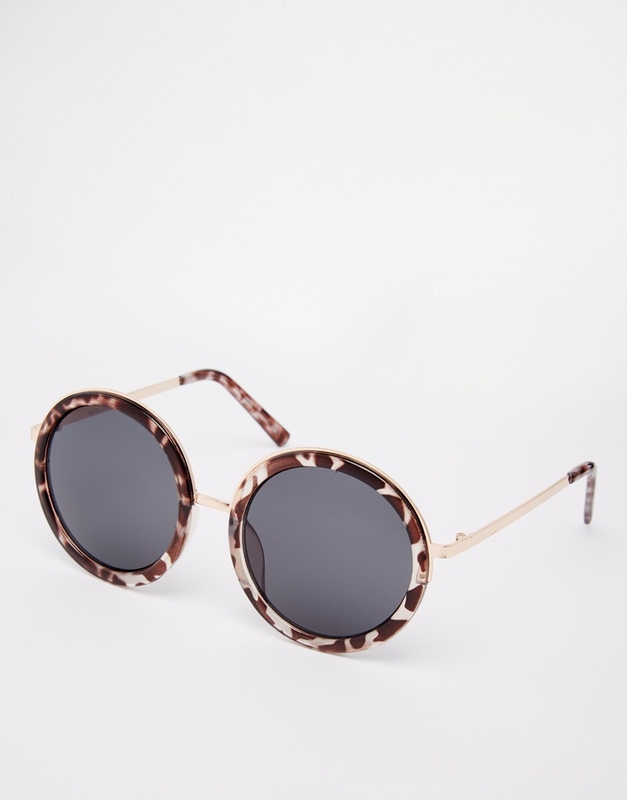 A less expensive pair from Asos have over sized, stand out tortoiseshell patterned rims. This lens’ also give total UV protection which is obviously the most important thing. Out of all the sandals I saw on Asos, these were my absolute fave! The neon beading is beautiful and will for sure stand out. I would love to wear these with the white picnic dress to give a pop of colour. 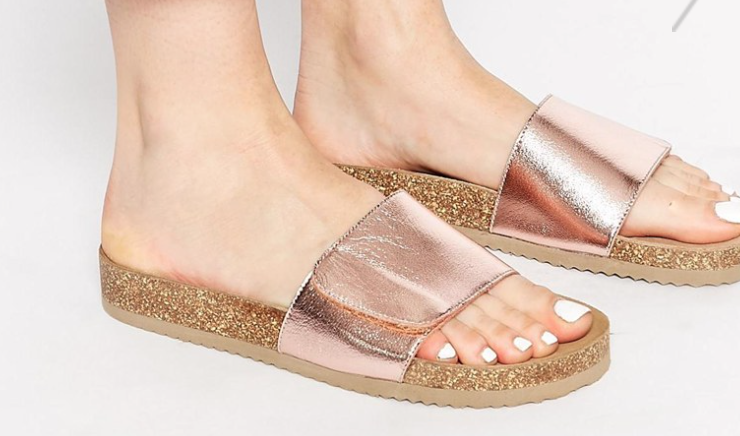 Rose gold is everywhere at the moment and these sandals are no exception. The metallic material makes them look slightly dressy whilst the cork style sole makes them a bit dressed down at the same time. Personally I would wear these around the pool or on the beach with the grey top and shorts combo. What is your favourite piece in the summer edit? What are your thoughts on Asos?